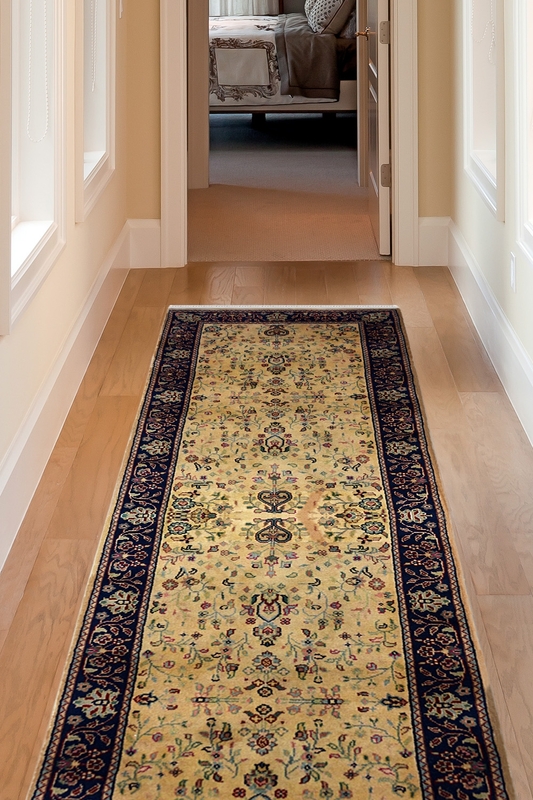 Bring ethnic features in your home by placing this gorgeous hand-knotted wool runner. This carpet is woven on a handloom and you will use it as a focal point in your home. It has a beautiful tiny floral kashan pattern which is woven using smooth colors like blue and yellow. Due to the smooth color and wool material you can use this carpet for low traffic area.